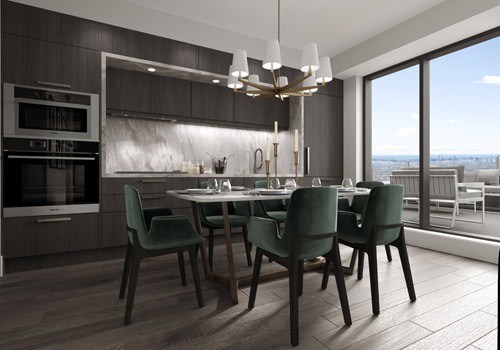 A limited selection of expansive two bedroom suites has just been released at Auberge on the Park, priced from the $700s. These elegant, newly-designed layouts are available on both the ground level and fifth floor. 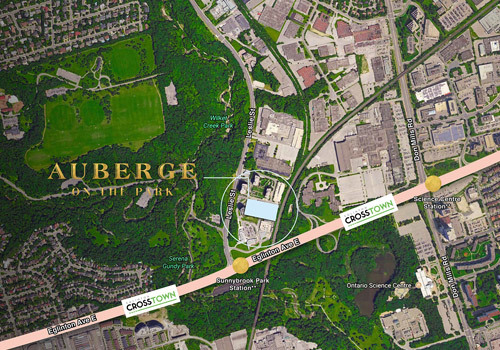 Don’t miss this remarkable opportunity to live in the midst of verdant parkland and stunning connectivity, steps away from the future Sunnybrook Park Eglinton Crosstown LRT station*. 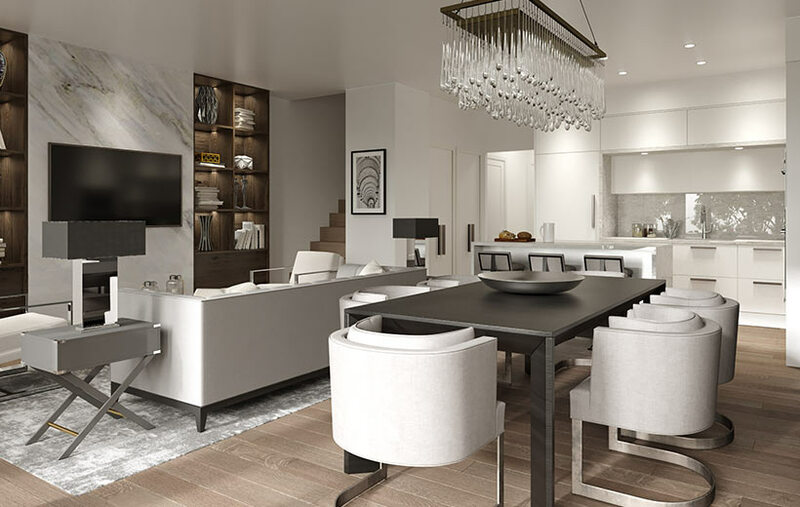 Seven exclusive two-storey townhome addresses form the pedestal of Auberge on the Park. 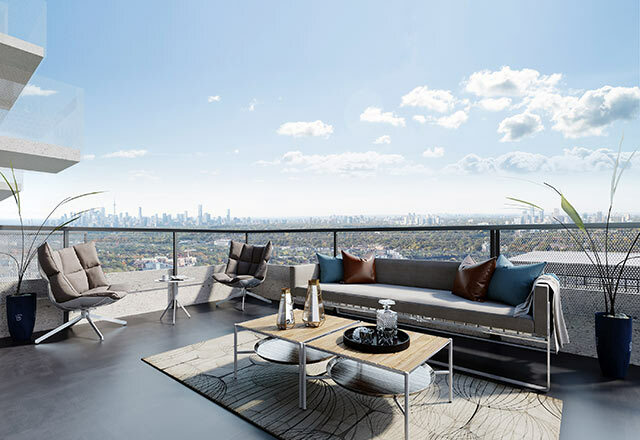 Thoughtfully designed living spaces and high-end finishes like premium Miele appliances make these homes the perfect private retreats amid the natural beauty of the outdoors, with all the ease and convenience of living in the heart of the city. Perfect for entertaining indoors or under the stars, the cascading terraces of Auberge on the Park are your bridge between the splendor of the outdoors and the exquisite comforts that await inside. These spacious light-drenched suites come with upscale finishes including premium Miele appliances. The future Eglinton Crosstown LRT** will feature an accessible, surface-level stop right at Leslie and Eglinton. Amenities with a Natural Appeal. Auberge On The Park offers a selection of luxury amenities such as two-storey Lobby, party room and outdoor pool. Modern and Elegantly Chic Interior Design. Stunning park views and terraces are just the beginning. 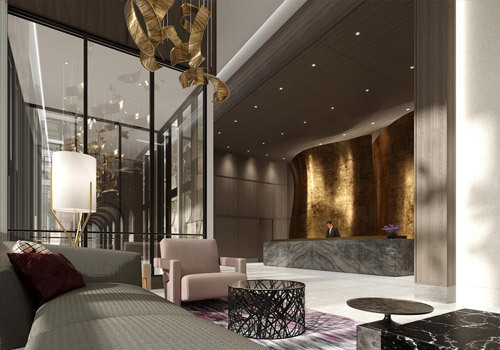 Auberge on the Park is a truly dynamic expression of architecture. **Source: www.metrolinx.com, such information is for information purposes only and has been provided as a public service by the website. The Vendor does not represent or warrant that any content of the website is accurate, current or error-free. The Vendor shall not be liable or responsible for any warranties or representations made by Metrolinx in terms of the creation and completion of the proposed crosstown LRT and related stations. Illustrations are artist’s concept. Map not to scale.